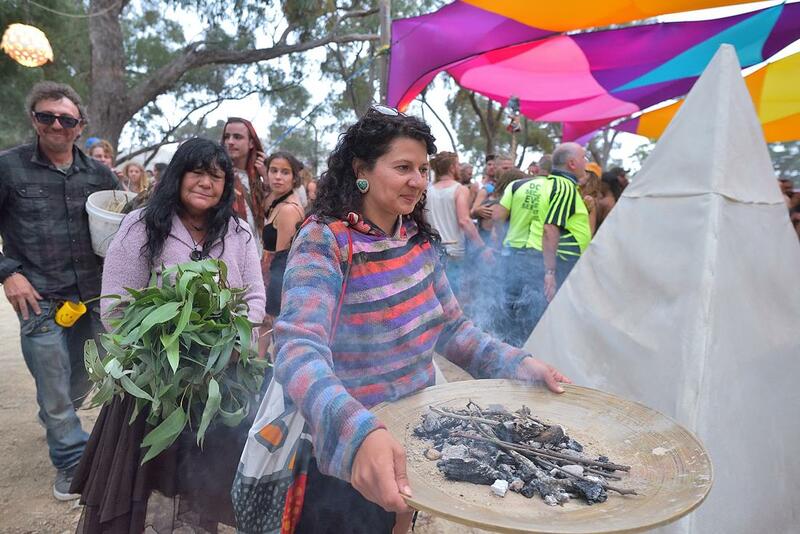 Karrung Larr means Bark Hut Camp in the language of the Dja Dja Wurrung and Wadawurrung Peoples of the land where our organisation is located and symbolises a place of sharing. In Indigenous traditional communities, everyone in the tribe had a role and a purpose and was valued for their contribution. Everyone understood their relationships to each other and with their environment (Country) – this translates into belonging. Many people from all cultures are searching for that today. Creating good spiritual health and well-being, comes from the foundations of knowing that we are all a part of something bigger than ourselves and being able to express it and/or receive that through the universal language of song, dance and ceremony. It is here where our inner-being can be activated with all that is seen and unseen, acknowledging the role of the conscious and unconscious and finding the balance of the light and dark that is within us all. To find our inner peace in that balance, makes up the full circle of of holistic health and well-being.